Ouroboros is an unorthodox RPG with time travel mechanics and the ability to manipulate events down multiple alternate paths. 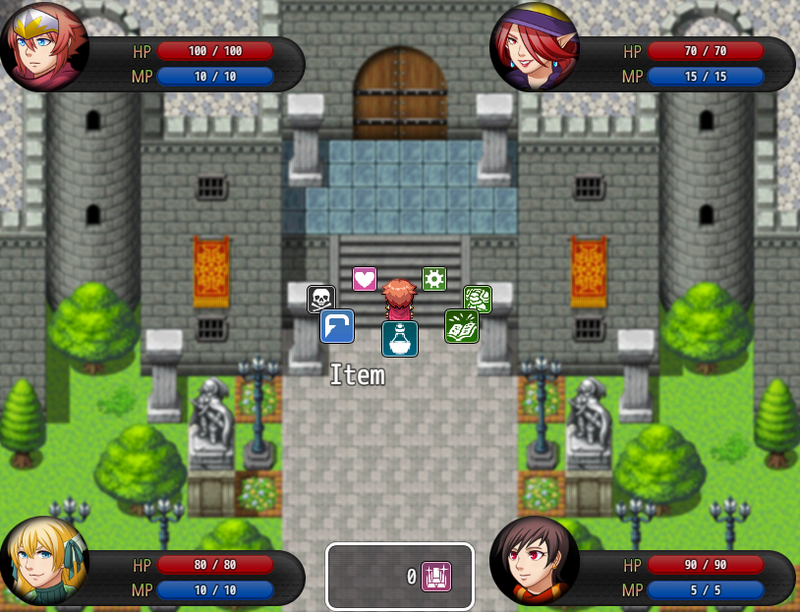 The combat is quick and fun - with no character levels, there's no need to grind! Instead you'll gain new strategies and techniques as you uncover deeper levels of the story and get closer to the truth at the heart of it all. I don't know if i got the wrong file or what but what i have is an incomplete game that starts you of as the son of a blacksmith,(the son) who practices alchemy. Hello. I'm afraid that doesn't sound like any game I've made - perhaps you could try the download again? Weird - glad that took care of it! There's absolutely zero indication that this is a NSFW game until people hover over it or click on it. I'd like to request the title/blurb include an 'NSFW' tag or something. Thanks. That's fair - I've added a NSFW to the title. Sorry if it was a negative experience. No negativity at all SierraLee; I appreciate the consideration of adding in the tag to the title. I merely wanted to point out that there is was nothing in the title/description/blurb to warn others who may actually be offended by such material. I know itch has an 'adult content' thing but that filter is pretty iffy (and already being discussed on how to improve it). It is also useful for people who may not be aware of the filter in the first place. I believe it is on by default but sometimes the application bugs out and randomly disables it for some reason (at least on my computer). I figured out why the game is working on my Android device. Their is no .apk file, in the .zip file. Is there anyone you can reupload? Or send me the file? I'm really sorry, but I can't guarantee support for Android devices - I created an Android version because the engine said it could export it and I try to support as many formats as I can. Some people claim they've gotten the game to work, but I don't know what they did. Anyone know how to run the game on Android? I got the Android file but it's a zip file. So there is a Linux version ? I only ask for confirmation because the file that is downloaded for it is called Android.zip. Sorry, but there isn't. 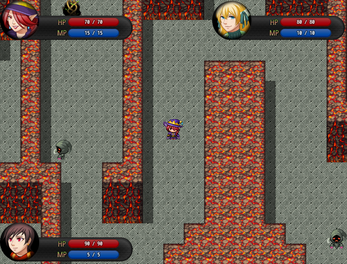 I thought the Android version would work natively in Linux, but it only works for Linux users running emulation. I'd remove that version, but there's been continued interest in it. Thanks for the clarification. Are there any plans to make a Linux version for Ouroboros ? If not will future games you make have a Linux version like Crimson gray did ? I'll always make a Linux version if the engine I use for the game supports Linux. In practical terms, that means all my VNs will have one, but few of my RPGs will. Fair enough. Thank you for the response ! Please do, or please remove Linux from the list of supported platforms in the description, cause it's a bit confusing. I have had bad experiences with MV updates, but if this one actually supports Linux exporting, I may be convinced to upgrade. I will look into it, but for now, I've removed the mention of Linux from the game page. Sorry for the false advertising. Good game. It's best to go into it blind, but if you're really on the fence about buying it, you can find an extended demo for this on Newgrounds. Great game that in many ways manages to turn the 4th wall into a window. 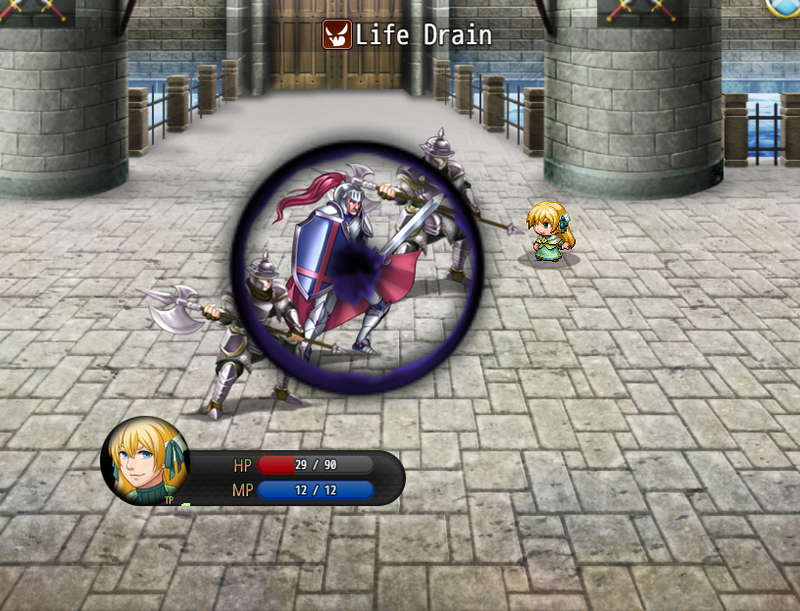 Not only turning many of the classic fantasy tropes on their head, the game also manages to introduce many meta concepts as well that only add to the plausibility of the setting, giving the player a real look into the consequences of dealing with and moving on from the world the MCs are trapped within. The connections made and alluded to make the touching moments all the more impact and the times of needed laughter all the more lively. It also makes some well hidden but decently set philosophical points about many issues both real and fantastical, one of the strongest being "what if one's life *really was* like a vidio game?...what would you do?" They answers to this question differ from character to character and really shine a light on how each one has adapted to the situation.